Follow @mcphoo Tweet Pavel tells the joke about asking people in a weight room "so those of you who have had a shoulder injury, raise your hands" - half the people raise their hands; the other half can't. Various types of shoulder issues are super common, and the usual go-to place is that the cause must be a rotator cuff tendon issue. But at least in my case, turns out it may be something very different: a muscle imbalance. That is, some muscles getting overworked with others getting underworked, resulting in other muscles not doing their jobs, and other muscles and associated tendons getting a bit worn out from having to do another muscle's job to pick up the slack. What's remarkable is how much immediate relief there can be once this issue is identified and actively addressed. So this is a bit of a story of unpacking that mystery through a lens that says always remember the site of pain mayn't be the source of pain. A while ago i did a few posts about the latest work on tendonopathies and healing them, and a festival of posts on the amazing shoulder as a system in the body ( shoulder girdle part 1, gleno-humeral joint part 2), and then there was one about stopping reps in a set before they stopped us. These posts were largely motviated by my ongoing ache in my arm/shoulder. And i must say i was getting just a wee bit frustrated that i wasn't getting anywhere. This is the story of finally getting somewhere. In the beginning: Seeing the MD. back in may/june the doc i first saw when my pain was at peak suggested what i had was a supraspinatus (top rotator cuff muscle) tendinitis. Ok.
Now i'm studying anatomy, and from what i could tell, all that muscle does is assist lifting the arm up to the side (like making airplane wings with ones arms). The things that hurt however were putting my coat on, when the arm reaches back to stick the arm into the jacket, and then when going the entire other way - crossing arms over to pull off a sweater. Ok, so maybe that's from a puffy supraspinatus getting jammed into the acromium of the shoulder (shown right) when the arm extends or internally rotates when abducting (emptying a pitcher). That seems pretty classic. And a week's worth of nsaids DID let me put my coat on again. So there seems to have been something going on there. But that wasn't all. Cuz it still hurt. In July, i'd asked a very competent movement scholar and chiropractic student to take a look at me, and we were rather flumoxed. He got as far as suggesting, based on loads of assessments, that perhaps it was lower trap related as doing some lower trap work seemed to bring some relief - he suggested that i spend some time with some drills focusing on lower trap work from Secrets of the Shoulder, which i did. Time Passes - things shift/get worse. Intriguingly, the pain changed, but did not go away; my strength progress was bottoming out. My press was not only totally buggered on the left, the pain was getting triggered when doing my right press. 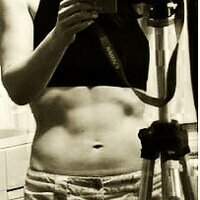 Not good for a gal who wants to press a 24kg kettlebell for reps. The other thing? Where it really seemed to hurt was at the top-ish of the arm. And then the pain radiated down into the biceps. Maybe supraspinatus pain refers into the arm, i wondered. But here's another thing: both the insertion of the supraspinatus (the attachment point furthest away from the middle of the body) and the origin of the long head biceps tendon (the attachment point of the muscle closest to the middle of the body) are very close to each other. The supraspinatus inserts at the superior facet of greater tubercle (or tuberosity) of the humerus (at the top of the upper arm bone). 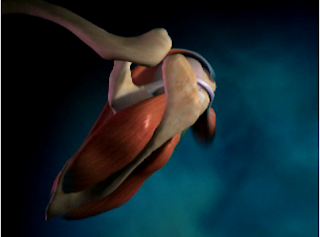 The long head of the biceps brachii passes over a notch in the humerus to attach to the supraglenoid tubercle - a part of the surface of the scapula that the humerus abuts in the shoulder. In other words the two tendons are almost right on top of each other, and both connect with with the upper arm/scapula, so if one's sore, perhaps the other is going to bloody feel it, too? Or perhaps they'll just be hard to discern from each other. Why is this identification of tendon proximity important? It's going to play a role shortly. Indeed, reading about biceps tendinitis certainly seems similar to "overhead overuse" injuries for the supraspinatus rotator cuff. Reading about it also sounds pretty dam fatal: wear and tear; doom and gloom. And strengthening the the biceps doesn't seem to be the winner here. So what we have here is pain in shoulder extension and external rotation and pain in shoulder flexion, adduction and internal rotation. Yuck. Easier to stay naked than put clothes on or off, but not functional, and not helpful athletically. Playing frisbee all summer was a great way mainly to keep my shoulder mobile-ish without load, but i more or less had to forget about my 24kg press work. Now we come to the latest analysis this past week with a very experienced z-health movement performance specialist whom i'd been waiting to have an opportunity to see. 1st, we went over the issue, reviewing a detailed history (any stomach upset? any elbow issues? any neck pain? etc). Second, there was a look/test of some muscles between left and right sides. What i had noticed only recently came to view here: my posterior delt was not firing fully - lots of squishy bits in it - compared to how well the right side was firing, the left lower posterior delt was like a deflated tire. That can't be good. Indeed see this post on muscle firing through the whole of the muscle for more. From here, we started to Assume the Postion(s) - the Positions of Pain and test these. 1) pain in the biceps: there's that biceps tendon going into the shoulder - address that, and guess what - pain HUGELY reduced. 2) help out the brachioradialis/extensors (esp carpi radialis perhaps) overlapping tendon/musle area, there's more relief (nerve work for the radial nerve included). 3) muscle test some of those extensors and there's squishy bits - get that fixed so the whole extensor is firing, more relief. 4) pay attention to the axilary nerve that fires the deltoids, and the posterior delt starts to come back on line (have some more work to do there but heck it's work i know how to do). And ta da, muscles start to re-balance, pain be much more gone; i can press again. How could this issue come to be? It's often just a best guess with what causes anything, but one proferred explanation for my stuff especially with the wrist/finger extensors is that kettlebelling offers a lot of opportunities for loaded wrist/finger flexion, not so much for loaded wrist/finger extension work. As in anything, balance is important. So who knows? Perhaps when doing a ton of double kb work, i pushed my less strong side to follow with my stronger side and things went sufficiently out of whack to build up an inflamation and ongoing pain. This fits more of the facts than a supraspinatus diagnosis alone. Beyond the above mentioned mobility and nerve drills, i'm doing some specific strength work. For the extensors i'm using two props: a mini jump stretch band with very light tension focusing on only enough load that i can get full to end range of motion wrist extension and wrist circles for the extension. I'm also using ironmind finger bands to practice finger extension reps. For mobility, i'm doing a lot of finger waves. This whole suit of components listed above stemming from this assessment was very much for me a master class in what we learn in z-health t-phase (about z-health): take a great history; test and retest EACH step of an analysis (i haven't detailed all the stuff that was tested that did not get a result); apply one's understanding of muscle interaction, muscle function and nerve interaction; check function to bring it back on line; when locked in, apply dynamic joint mobility and loaded dynamic joint mobility as appropriate. Test, re-test continuosly. Analysis is a process. And as things change/improve, retesting and refining in rehab remains important. Analysis is also a process that follows where the path leads: despite the fact that this kind of pain is supposed to be indicative of a SITS/rotator cuff injury, it may not be. I'm also intrigued to learn about how the extensors relate to balancing the shoulder in rotation. Not something that seems obvious taking a shoulder-only focus. Likewise that working the area of the biceps tendon can be so impacted by rotation when it itself is not a rotator - makes sense looking at how rotation may stretch it, but again that's following the path and testing - and also having some faith. I *knew* i felt pain through the biceps, but just never conencted this with the biceps tendon. One of the effects of finding these muscle imbalances and nerve issues was an immediate and pretty signficiant improved range of motion. Like way - 15-20 degrees of extension in the shoulder that i didn't even know i had. What this experience reiterates for me is that pain is a performance signal; that having pain reduces performance, and perhaps especially that optimizing what we need for performance not only reduces that pain signal but also, as a connected process, opens up performance. The two are intimitaley and it seems inextricably related. As i've suggested before, pain it seems is just another performance inhibitor indicator like tight muscles that restrict range of motion can be. When we take time to work with a movement performance coach to walk through the process, work the problem, both relief and performance pour in. I know this all intellectually - it makes sense in terms of what we know neurologically - but from time to time a demonstration of same is a pretty vital reminder of these issues. In my case, the focus was on identifying performance issues: squishy muscle bits in extensors; impingement of some kind around muscles/tendons; looking at strategies to help bring performance back on line, lots of active work. Et voila: pain significantly reduced. Coda It's only been a week since i've had this assessment but the performance improvment (and consequent pain reduction) is legion in comparison to what it's been. I'm being very gentle with working back into arm and shoulder strength work, but that i can get into these ranges of motion sans pain/ROM issues is pretty fab after months of pain/limitation. What seems to have happened is that there is a path of unpacking/unwinding a problem going on towards addressing it. What is exciting to me is that the movement principles i've been studying for the past two and a half years keep working - even for difficult cases. The nervous system is a remarkable thing. It's rewarding to get to a place of really starting to see how the application of these principles continually opens up new opportunities to support healing without creating more pain first and with such immeidate effect. Self-critique. I am also somewhat kicking myself for not working these patterns myself: nothing was really done in this assessment that i haven't been trained to do myself - that's the plus side. The down side is that i didn't take the time to work through this for myself. I remember moaning over the phone to one of the z-health master trainers how frustrated i'd been that i couldn't see a z-health solution to this problem, and his calm reply was "did you do all of the assessments"? i figured out that there were literally about 14 thousand possible combinations of assessments and that i guess i really hadn't. It's a good thing we're not our own healers, and i'll say again, everyone needs a coach. And one more time: analysis is an iterative process. Sometimes it will take more than one hour to get to the heart of a gnarly problem. In my case, it took two. Gosh. I'll also say that the confidence i have that this approach will help find a path through even gnarly performance problems elegantly has gone way up. As said, i see it in clients reguarly, but there's nothing like personal and direct experience to reenforce a value proposition, eh? Personal Practice So suggestion? If you're having hinky performance/pain issues, check in with a movement performance specialist. Here's a trainer listing. If you'd like a referal, call the office, and let them know mc suggested you ask them. It would be worth checking the facet and motion segements at C5/6, especially if your symptoms return. Also, biceps tendinopathy is very often a fundamental sign of anterior shoulder posture,as it acts as an accessory stabilizer the shoulder, especially when in slight ext rotation/abduction, which is common in kb lifting. Lastly, if not already familiar with them, take a peek at Travell & Simon's trigger points - you should find a pattern that closely follows the dermatomal distibution that you describe. Thanks for taking the time to share such great detail Andrew. Much obliged. 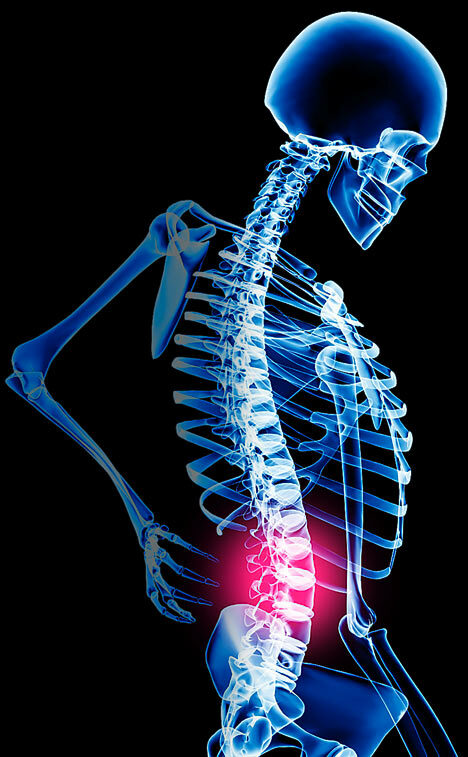 One thing to consider is that the problem has probably evolved as your body has changed movement patterns to avoid pain. Antalgia, this process of pain avoidance, is very powerful and unconsciously creates new, dysfunctional movements or compensations that will actually feel normal(more in my Pain, Habits, and Our Favorite Exercises). Discerning these things "from the inside" can be near impossible, so getting outside assessment and training advice is important even for someone with your expertise. Good luck with your rehab. Glad the shoulder is better. If the taping helps, do you leave it on all day? I assume movement increases with taping? If you decide to tape, I recommend that athletes test it each day to see if the tissue direction has changed and to make sure it still improves movement. It is also essential that they test all of their exercises to ensure that the loading they are doing is good for their body of course. yes ROM improves with taping, but more important to me is that the ROM is without pain. I re-taped after four days, using slightly different directions, as different directions as you note tested better at that time. when i woke up one morning 4 days later with some pain coming back on, i tore off the tape and got reassessed, and refined the drills. continuing with appropriate nerve work and the wrist and finger extension work with bands.